Peter, just because some man in a red coat gives you a sword it doesn't make you a hero! He's a beaver; he shouldn't be saying anything! Lucy, the only wood in here is the back of the wardrobe. [to Peter] You think you're dad, but you're NOT! [mocking Lucy] Didn't I tell you about the football field in the bathroom cupboard? [when he first enters Narnia] Lucy . . . I think I believe you now. [holding up his "tag"] Perhaps we've been incorrectly labeled. 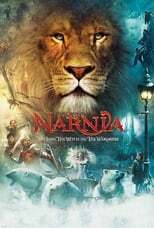 Tonight, the Deep Magic will be appeased, but tomorrow, we will take Narnia forever! Think about whose side you're on, Edmund. Mine... [turns him to the Fox, whom she has just turned to stone] ... or theirs? If it's a war Aslan wants, it's a war he shall get. Welcome Peter, son of Adam. Welcome Susan and Lucy, daughters of Eve. And welcome to you, Beavers. You have my thanks. But where is the fourth? Do not cite the Deep Magic to me, Witch. I was there when it was written.